Those aftermarkets are awesome, but I know what I said about 3 spokes but the Suzuki ones don't look too bad to be honest. If it were me I would most likely buy the Suzuki wheels and the carbs rather than spend all that dough on just wheels. You are very correct about the zx having large bearings and stem. I had to press the stem out of the bottom triple and modify it to suit smaller bearings. Keep at it, it's going to be a great build. 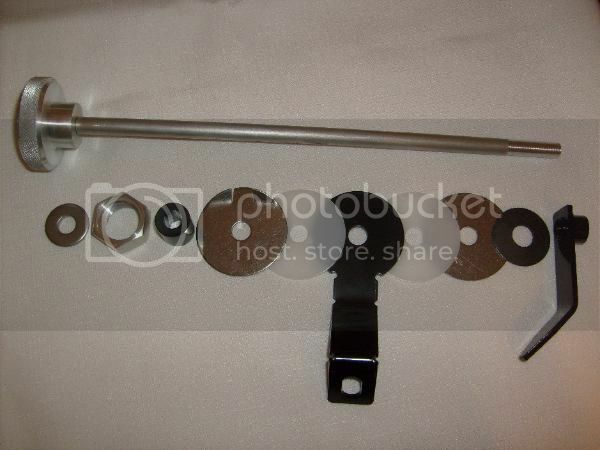 Close, it's a steering damper kit for gsxr forks. But yes the style is more common in supermoto and dirt bikes. Couple advantages over the typical damper is no big rod to worry about in the mounting and separate valving low and high. For example what that means if i hit a bump while turning slow while turning it will adjust according to the low circuit if I hit a big bump or pothole outta no where, going faster it will correct quickly using the separate hi speed circuit. Both circuits are adjustable for user preferences. Right the other option is to reduce the diameter of the Zx stem to fit different bearings if the Zx stem is long enough. Was it long enough in your case? What year Zx suspension and what bike did you swap it into? Too long? Wow. Hey if you get a chance I would be interested in knowing the rough length of your steering stem, basically bottom of the bottom triple to the top of the stem. I really like that build! I will go through the build thread tonight for a good read. I will measure it tomorrow. Nothing new under the sun eh ? Modern take [ hydraulic ? ] on the old steering dampers [ friction ] of the 40's > early 60's. This is a modern version for the new Bonnie, but the same as the old pre War set up. Not meaning to quote myself but I'm bitting the bullet on these wheels! There goes the neighborhood! Really nice wheels! Steering stem is approx 198mm from the underside of the top clamp to the face of the bottom clamp. This is for the ZX forks.